Warm the jar of topping according to the directions on the label. Pour the warmed topping into the bottom of the prepared graham cracker crust and spread to cover it completely. Place the sliced bananas to cover the bottom and then put into the freezer for one hour. Remove from the freezer and then spread the softened ice cream over the bananas. Sprinkle with pecans and return to the freezer for 3 hours. Whip the cream with the powdered sugar and vanilla until stiff peaks form. 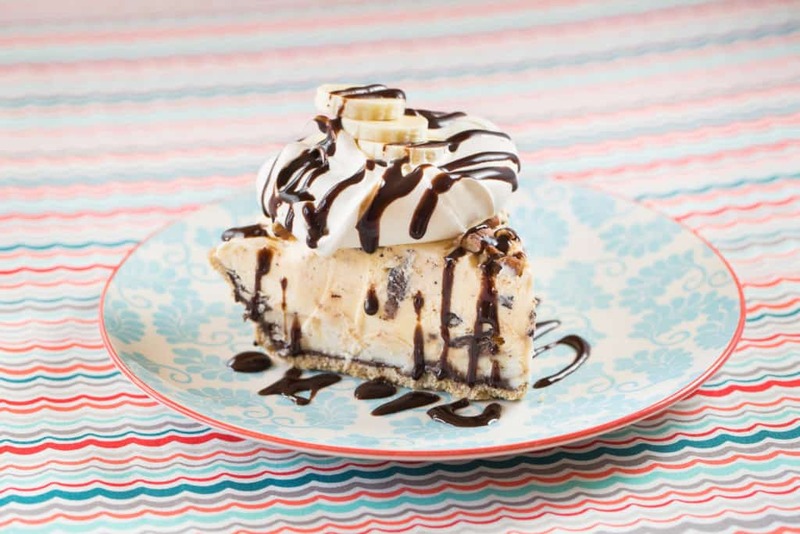 Remove the pie from the freezer and serve with a drizzle of your topping and a dollop of the whipped cream.